The Philip S.W. 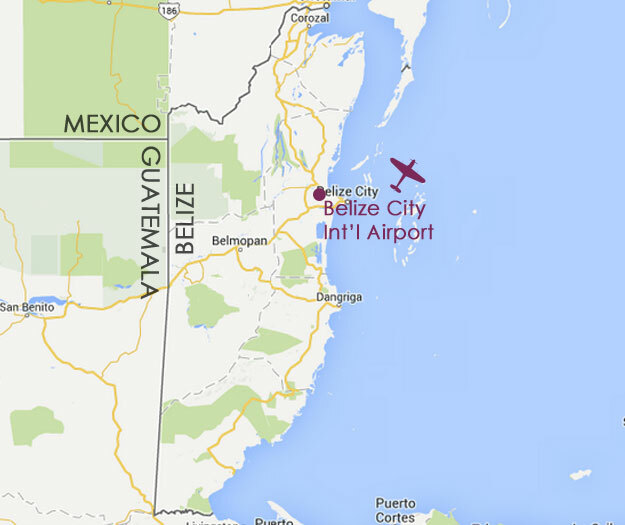 Goldson International Airport (PGIA), is the primary international airport of Belize and is located only 10 miles from Belize City. The airport serves as the main gateway to the country and facilitates both domestic and international air services originating from the USA, Canada, Central America and the Caribbean. Travelers are offered connecting flights to various destinations throughout Belize including Corozal, Caye Caulker, Dangriga (Hopkins), Kanantik, San Pedro, Savannah, Placencia and Punta Gorda. These flights take passengers across majestic Mayan mountains, flourishing rainforests, winding rivers and the largest, living barrier reef in the world. Maya Island Air hopes that this information regarding the Philip S.W. Goldson Airport, will make your journey easier and more enjoyable. Note: All flights with "**" indicates that they are seasonal. (*) Indicates the typical layover time expected before arriving to final destination. Not all flights will have layovers but in the event that one is necessary, the pilot will inform passengers of this along with the estimated layover time.